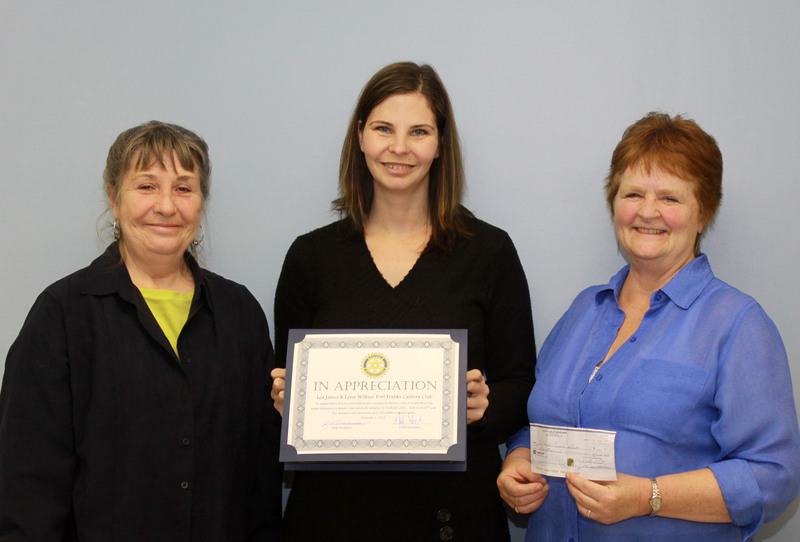 The Grand Bend and Area Rotary Club helped our Club with their generous donation. Many thanks to them! We would also like to express our appreciation for the support of the Port Franks Branch of the Lambton County Library and the Port Franks Optimist Club. On Saturday October 15 and Sunday October 16 2011, the Port Franks and Area Camera Club participated in the Poinsettia Tour in Port Franks. Our booth was located in the Port Franks Community Centre. 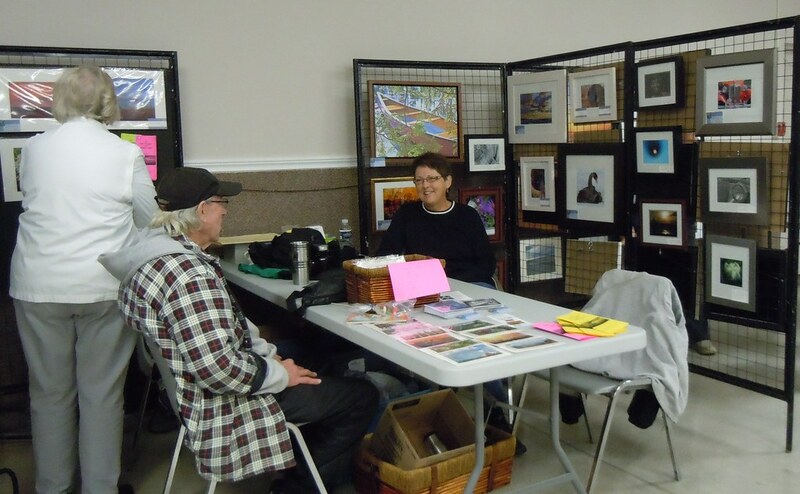 We had a chance to show off our members’ photos, to make a few sales and to engage the public. It was a lot of fun, and the Optimists served a wonderful lunch. 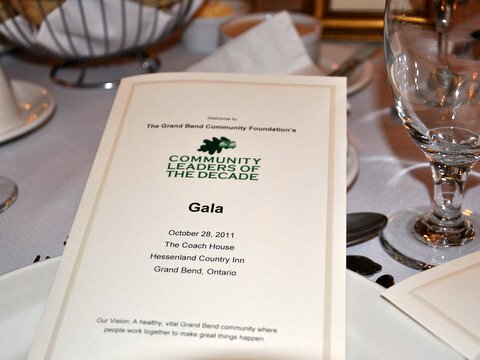 Grand Bend “Community Leaders of the Decade” Gala ~ October 28, 2011. 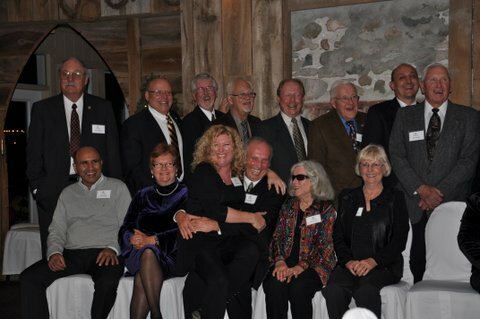 Thanks to everyone from the Camera Club who volunteered to be among the “Paparazzi” at this event! Many thanks to our amazing photographers Vreni Beeler, Trish Anderson and Dan Shaw for donating their time and talents to photograph the Community Leaders of the Decade event at Hessenland! It’s great that we can be involved in the community. 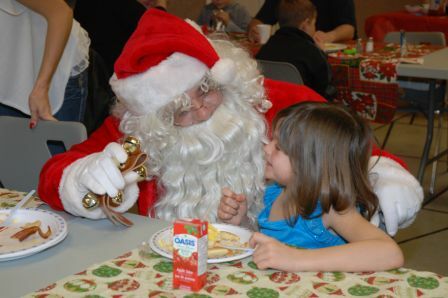 Sunday, December 18, 2011, the Ausable Port Franks Optimist Club hosted “Breakfast with Santa” for local kids, parents and grandparents. The jolly fat guy was there and he listened carefully to the wish lists of the children and found out who was naughty or nice. The Port Franks and Area Camera Club joined in the fun and recorded some memories.